Exterior of BBC Manchester’s New Broadcasting House in 2009. The BBC occupied the purpose built site on Oxford Road from 1976 – 2011 when they began moving departments across to new offices at MediaCity, Salford. The new buildings, constructed by Peel on derelict land at Pier 9 of Salford Quays offered the corporation more space and staff from the old Manchester building were joined by people from additional departments which had relocated from London including BBC Breakfast and Sport. 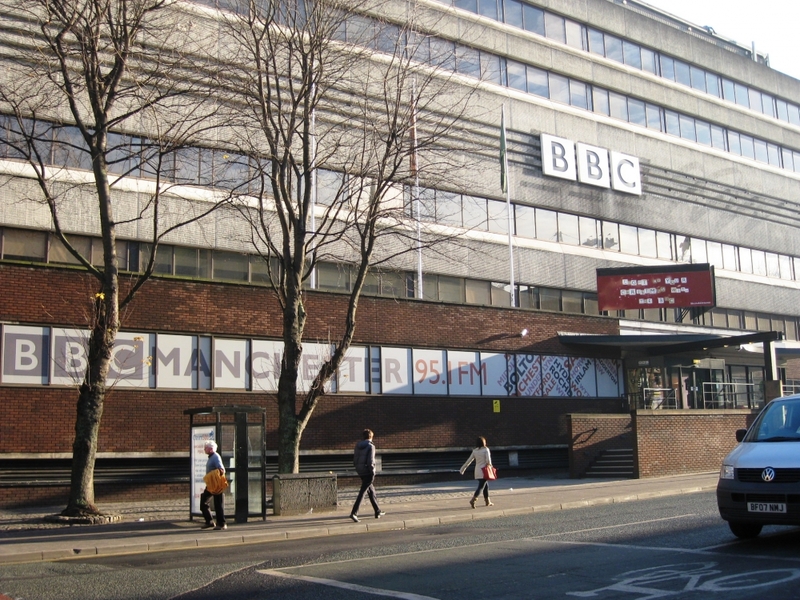 The BBC’s Oxford Road site saw many bands and musicians record performances and sessions there over the years. It was home to Mark Radcliffe and Marc ‘Lard’ Riley’s various radio shows which went out on Radio 1, Radio 2 and 6 Music and included their short lived Breakfast Show. TV programmes recorded in the building included Cheggers Plays Pop and live broadcasts of The Oxford Road Show and The Sunday Show, the latter of which included a regular science spot by The Happy Mondays Bez. The building was also home to the BBC Philharmonic Orchestra with the orchestra having a permanent base in the rather beautiful Studio 7. The orchestra is still based at BBC North but their new studio is in the Studio Block at MediaCity rather than in one of the three BBC buildings. I once saw Cheggers walking down Oxford road. He was tiny!